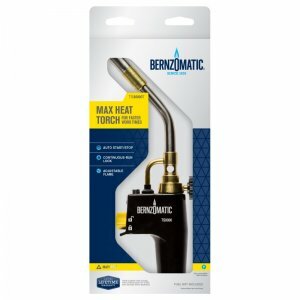 Starting today and running until November 29, you can save up to $10 on the Bernzomatic TS8000KC Kit, which includes both the torch and a MAP-Pro Cylinder. The TS8000 is an upgrade to the much-loved TS4000. It shares all the great features of the TS4000, like an auto-ignition start/stop trigger and run-lock button. New features include a larger Ultra swirl flame output that is suitable for even bigger projects and a dial-control knob that can lower the flame so it's not much bigger than a bbq lighter. Additionally, you can save up to $6.59 on a 2-pack of MAP-Pro Cylinders.